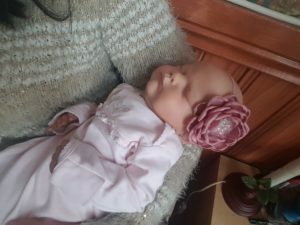 Reborn baby blog 5th October. 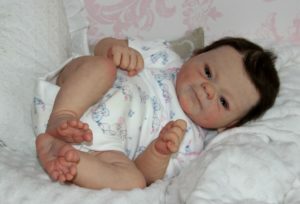 This reborn blog is I am hoping going to be like a reborn diary which should be a lot of fun. Today the weather is really starting to feel cold. With the temperature dropped to around -5 and the ground covered in frost. Getting out of bed was really hard. So I decided to have a cuddle with my baby instead. It is also great when I have time to do that. I organised some of the babies items today which allowed me to really take stock of all the items I have in my nursery. This is something I have really been putting off doing. I wanted to spend time with Summer today as well. It had been awhile since I had been able to, so we watched mulan together. Which was great as it is a movie she loves. She ended up asleep before the film ended. So although not too much seemed to be done today, it was still fun to do. I will end the night again with more cuddles. Hello Jerry, after seeing your comment I did look at your website and have to say that I could not allow your website address to be posted on my site. 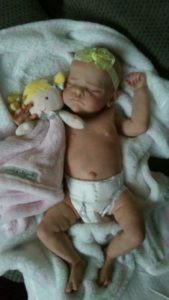 I do not advertise people that use stolen kits and say they sell reborns when they do not. 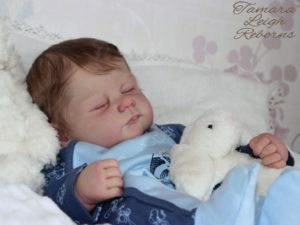 The dolls on your site are factory-made, not reborn. they are also using stolen kits of which I identified several just from a quick look. You claim to have sculptors yet it is clear that you do not. so instead of allowing your site name to be on my site instead, I will inform you that there is a group that is going to the police with a list of all the names of people and companies that have used the stolen kits. I will, of course, have to add you to this list and also make sure everyone I know within the reborn community knows to blacklist your site and share what you are doing with people they know etc. I hope you have a good day. Thanks for visiting.